Born in Sutton, Coldfield, West Midlands, Cree lives and works in Germany, sharing her time between Kassel and Berlin. She is a full-time member of the Johannes Wieland Company at the Staatstheater Kassel since 2015, devising and performing in Johannes’ works, such as the ‘rite of spring’ and ‘you will be removed’, which was nominated for the German theatre prize ‘Der Faust’, to name a few as well as the works of guest choreographers;Tom Weinberger (Batsheva Ensemble, Sharon Eyal), Helder Seabra (Sidi Larbi Cherkaoui) and Annamari Keskinen (Johannes Wieland, rootless Root) & Ryan Mason (Johannes Wieland). With the support of Staatstheater Kassel, Cree has choreographed and presented her own short works: DA’AHLIN (2017) and SALT (2018) as part of the state theatre’s Choreographische Werkstatt. 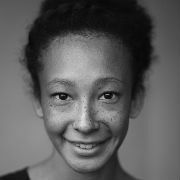 Cree graduated with an BA hons degree from Rambert School, where she also taught as a guest. After graduating, she worked as a freelance artist in the UK with choreographers such as Dane Hurst, Aletta Collins, Renaud Wiser, Hubert Essakow, Ben Wright and Mark Bruce, as well as collaborating with the London based New Movement Collective, before moving to Germany.